An initiative of the Cape Town-based collective, Chimurenga, the Pan African Space Station (PASS) is a live radio studio and innovative platform for free ideas and political reflection about Africa by Africans. The Pan African Space Station will land in Melbourne for Shapes of Knowledge from 11 - 13 April. In collaboration with artists, activists and cultural workers based in the city, PASS will study, among other histories, Australia’s participation in The Second World Black and African Festival of Arts and Culture (FESTAC) which took place in Lagos, Nigeria in 1977. Using their studio as a capsule for further entanglement, and FESTAC as a lens through which to locate and imagine new conversations around black internationalism today, they hope to assemble historical fragments of the region's interaction with the African continent as means to acknowledge its relevance today. Taking advantage of both the intimacy and unpredictability of the live radio studio space and the reach and scope of the internet, PASS seeks to forge new collaborations across time and space. Their live studio space becomes one for entangling different realities and experiences – with participants and listeners prompted by ideas of utopia and oppression, history and the future, borders, time, art and technology. 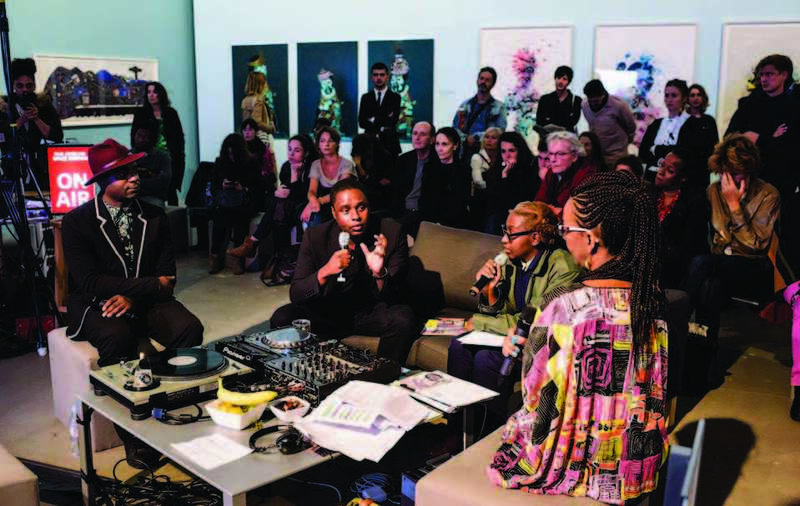 At the end of each live event, recordings are uploaded to PASS’s online playlist and to Chimurenga’s Soundcloud and Mixcloud pages, culminating in an ongoing archive of conversations and experiences. Through a single event PASS brings together the processes of creation and production; documentation and archiving; and, finally new histories of dissemination and broadcasting. Founded by Chimurenga in collaboration with musician and composer Neo Muyanga in 2008, PASS works in transitory spaces and at the intersections between different fields, organising sound, music and words into new forms of knowledge. PASS is a machine for travelling at the speed of thought. Its mission: to challenge the concepts this present has of Africa and to excite new transitory and transient communities with each journey. Chimurenga, a pan-African platform of writing, art and politics, was founded by Ntone Edjabe in 2002. Drawing together a myriad of voices from across Africa and the diaspora, Chimurenga’s outputs include a journal of culture, art and politics of the same name (Chimurenga Magazine); a quarterly broadsheet called The Chronic; the Chimurenga Library – an online resource of collected independent pan-African periodicals and personal books; the African Cities Reader – a biennial publication of urban life, Africa-style; and the Pan African Space Station. An initiative of the Cape Town-based collective, Chimurenga, the Pan African Space Station (PASS) is a live radio studio and innovative platform for free ideas and political reflection about Africa by Africans. The aim of these projects is not just to produce new knowledge but rather to express the intensities of our world, to capture those forces and to take action. This requires a stretching of the boundaries, for unless the form and content of what exists is challenged then the original colonised form is merely reproduced. Chimurenga proposes not only a new set of questions but also its own set of tools; new practices and methodologies that allow them to engage the lines of flight, of fragility, the precariousness, as well as joy, creativity and beauty that defines contemporary African life.